This blue moon was captured on Sunday, June 12th. Seeing its beauty makes me remember this song. I captured the moon in the front of my BIL's house. Beautiful perspective. 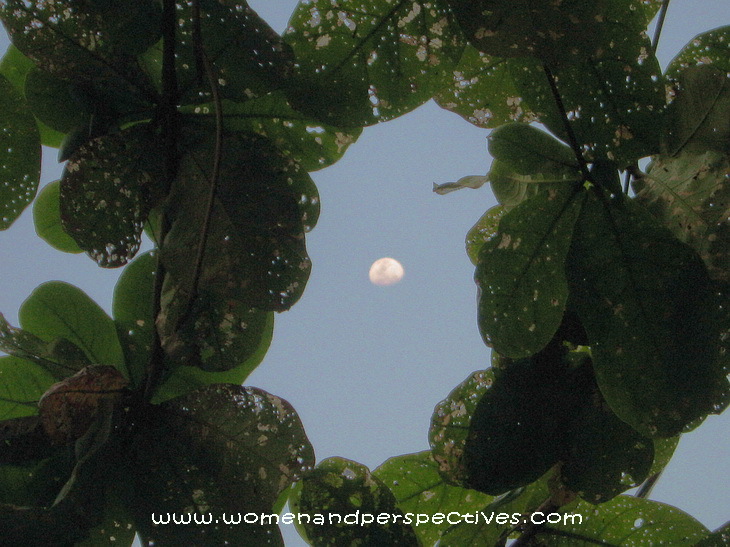 I love how the leaves circle the moon. Perfect!! What a creative angle! :0) It nicely frames the moon.